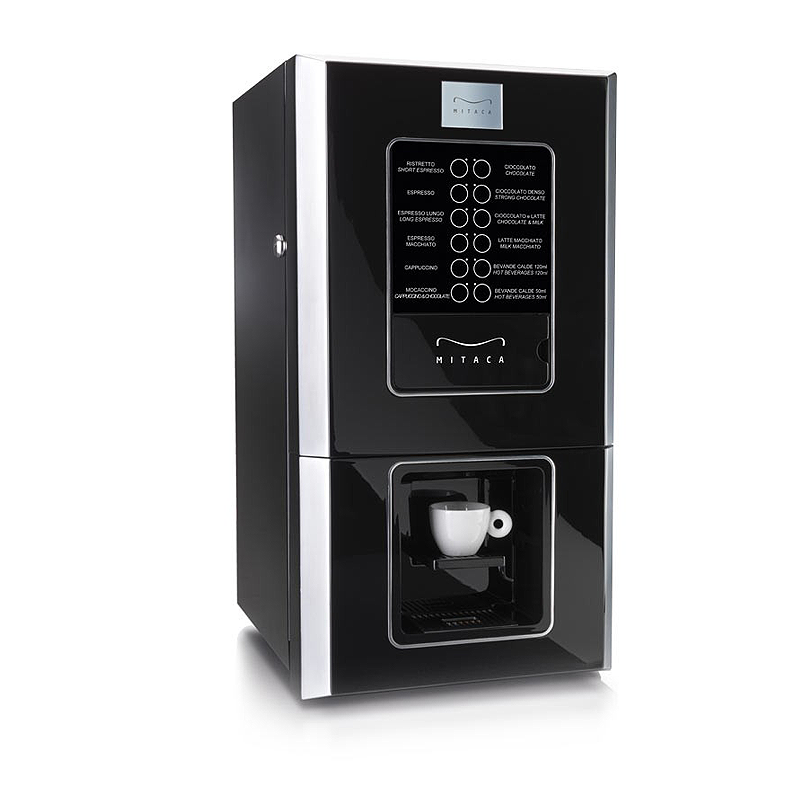 A semi automatic Table top espresso machine which can provide coffee, tea and hot drinks. Ideal for offices 25 people or more. Mitaca M6 is very easy to use and equipped with two containers, milk and chocolate powders. Insert the capsule and can choose from 12 options. Ideal for medium or large offices. Screen keyboard with 12 options. Adjusted for any size cup or mug.